People just don’t use words like “palette” any more, so imagine using one of those objects to paint something… We’re in the Photoshop era, sadly, but thanks to the concept PDA below, old-fashioned visual artists might stand a chance. 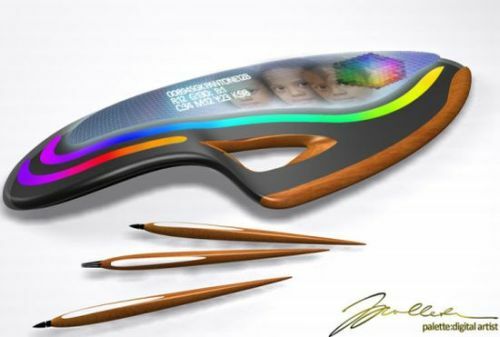 The Pallete Digital Artist was revealed at the Next-Gen PC design competition and it uses a touchscreen and digital pens allowing you to express your creativity. Just use a bunch of differently sized pens and draw a sketch, then color it the way you want to. This PDA is able to recognize colors, converting an analog color to digital format. Since we’re going old-school, we might as well mention that the PDA features wood finished sides and a texture that resembles a real canvas. 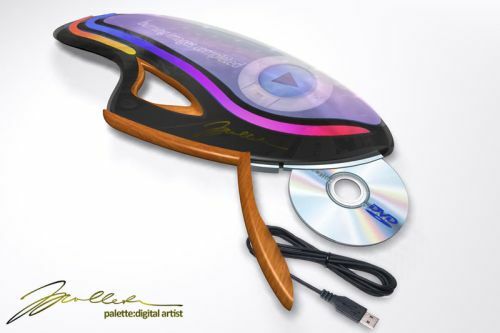 Strangely enough, the Palette Digital Artist features a disc player, but the rest of its features are quite normal, including the USB port and wireless module. This device is portable, as you might have guessed and it’s running on batteries, but AC power is also an option if you’re an in-door painter. Sony Ericsson Smartphone Concept Is Not an April’s Fools Joke GPS-Centered Benq Siemens Concept: Never Get Lost!